HOW TO CHRISTMAFY YOUR HOME WITHOUT BREAKING THE BANK | RAWR BOWS. I have probably said that a hundred times but I absolutely love Christmas. It is by far my favourite time of the year, I look forward to it 364 days a year (everyday except Christmas day...). I never spend the holiday at my house in London though, as I usually go back to my parents' house, so I don't like to splurge on loads of Christmas decorations. Nevertheless, I still like to make my bedroom somewhat festive by adding a few bits and bobs. It changes every year, sometimes I go a bit more DIY and some years I just buy the entire Anthropologie collection because...why not. 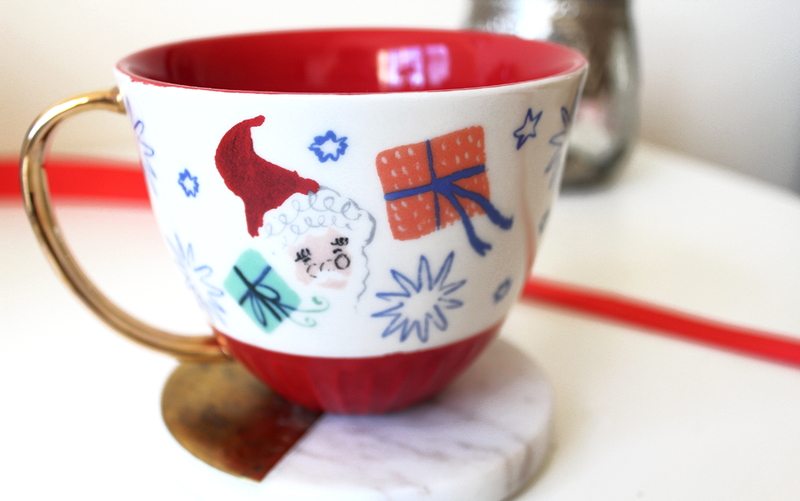 The best item (or items) to buy for the holidays is mugs and bowls, they are not only useful (duh) but you can also get some seriously festive ones. My favourite store to get mine from is Anthropologie, they have a new Christmas collection every year - and every year they outdo themselves. They are on the pricier side but I 100% think it is worth it, you are quite literally getting a piece of art. A more affordable option is Zara Home, they also have some incredibly cute pieces and their sale section is usually pretty amazing. 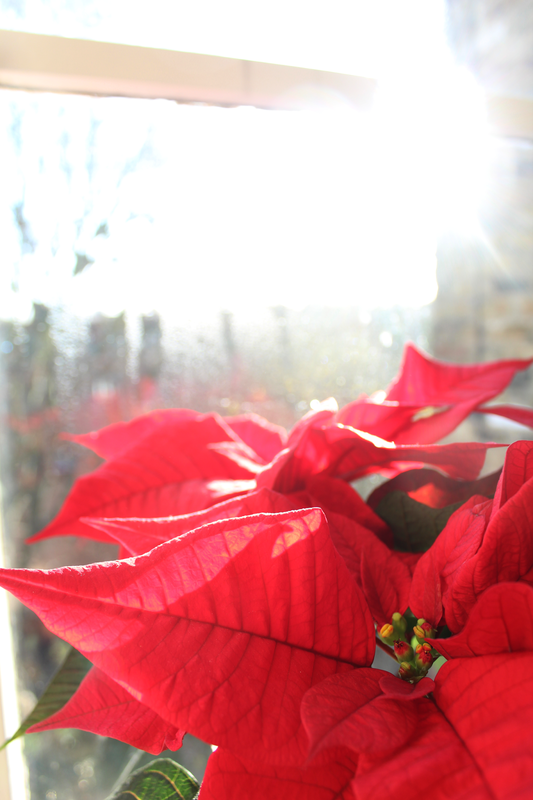 Something that always brightens up a space and adds a very natural festive touch is what I call the Christmas Plant. I am not entirely sure what its real name is but it is nature's representation of Christmas. Just one look at them and I feel like I am staring into Santa Claus' eyes. To brighten up the holidays, I love to use fairy lights not only to decorate my tree but above my bed, around my window, etc. It makes any space so much cosier and whilst they are no super festive as many people have them up all year round, it still nice a very nice touch. Now, this is not exactly a decoration, but advent calendars never fail to bring the festive spirit. It is a nice daily reminder of how close the best day of the year is getting. And it is also a very valid excuse to indulge on some milky chocolate. 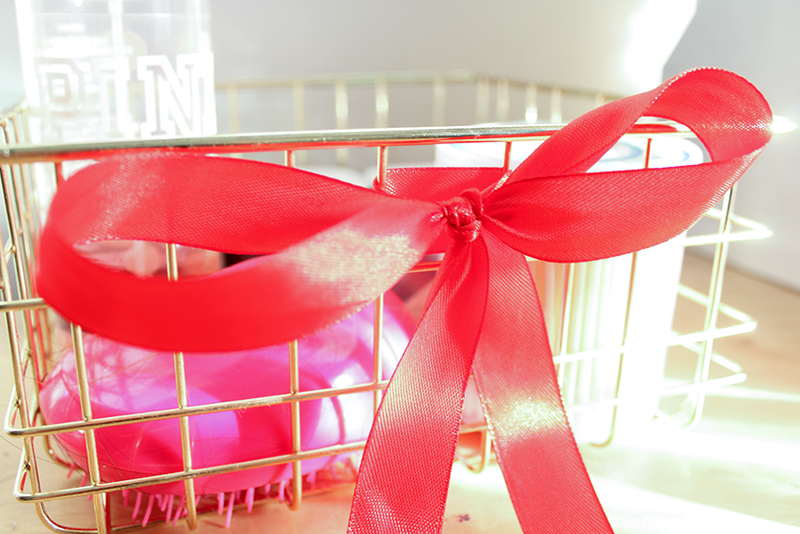 Finally, the easiest way to make any mundane object a little more Christmassy is by adding a beautiful big red bow. It is so easy and simple, but looks like you put so much thought into it - and it can literally be added to anything. How do you like to decorate your place for the holidays?